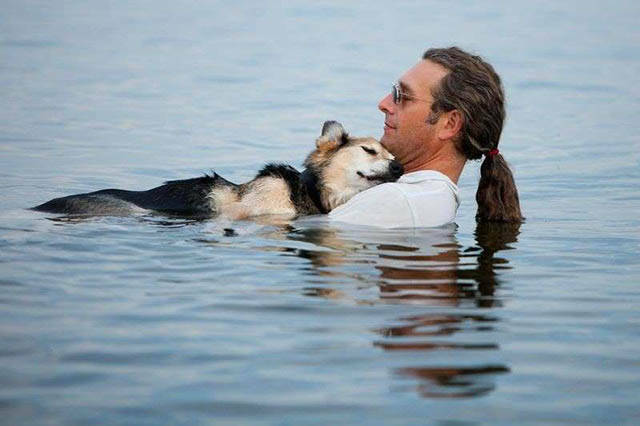 John Unger would float with his arthritic dog, Schoep, every day for 10 minutes to an hour. 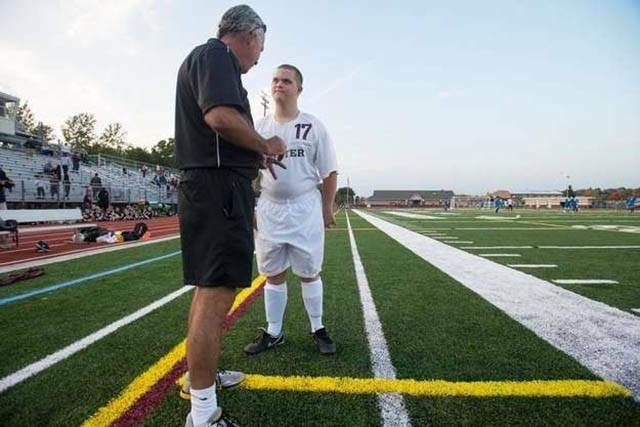 "Get ready, you're going to be playing," soccer coach Scott Forrester told Greg Zenas, a Michigan high school student with Down syndrome who had served six years as a team manager, picking up equipment and cheering on his teammates. 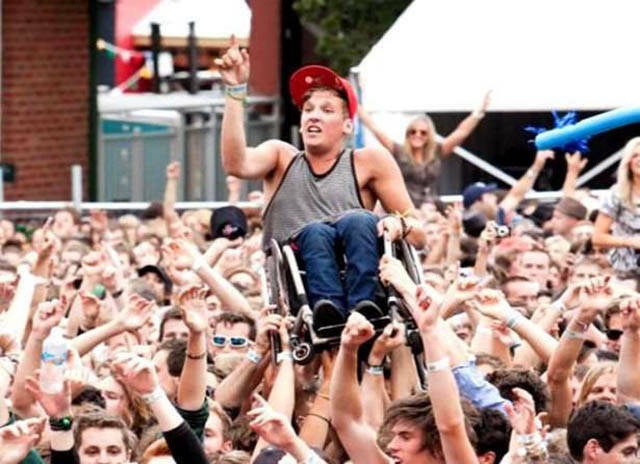 Audience members at a music festival in Melbourne, Australia, give a boy in a wheelchair the best view of the stage. 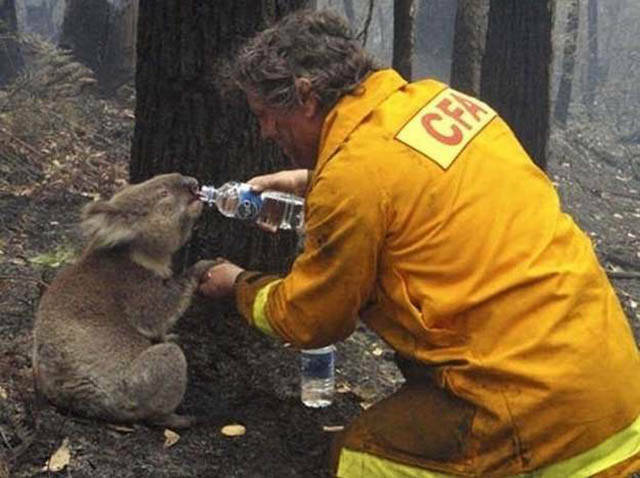 After rescuing a koala, a fireman holds the animal's hand while providing a much-needed drink of water. 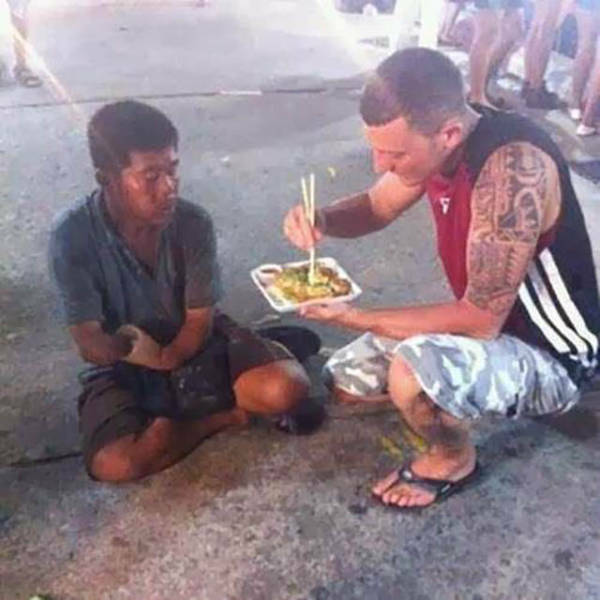 A tourist feeds a disabled homeless man. Everyone in the class shaved their head to show their solidarity with a classmate who has cancer. 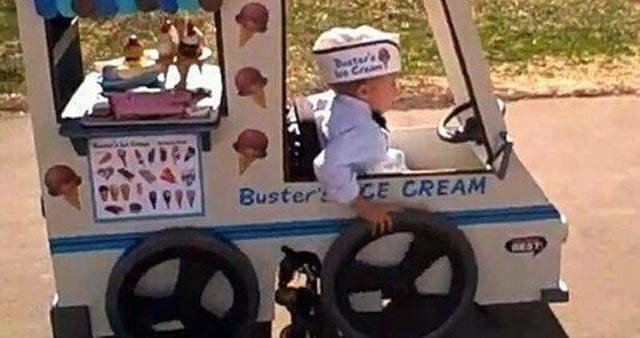 This boy's parents built an ice cream truck around his wheelchair to complete his Halloween costume. 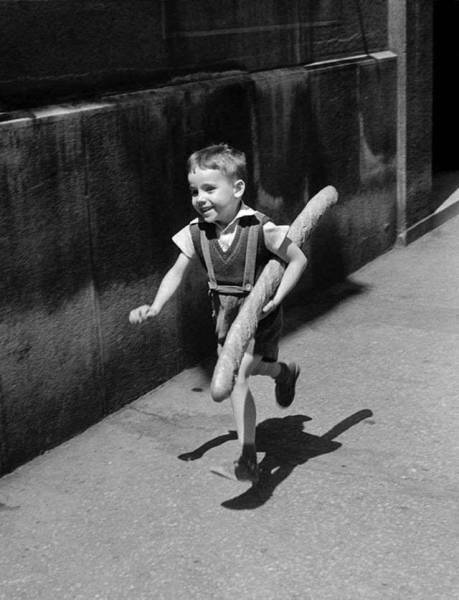 A boy makes out like a bandit with a loaf of bread bigger than he is. 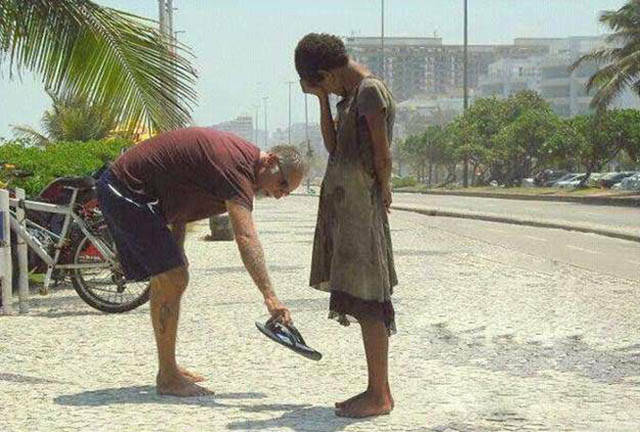 A man gives his shoes to a homeless woman in Rio de Janerio. 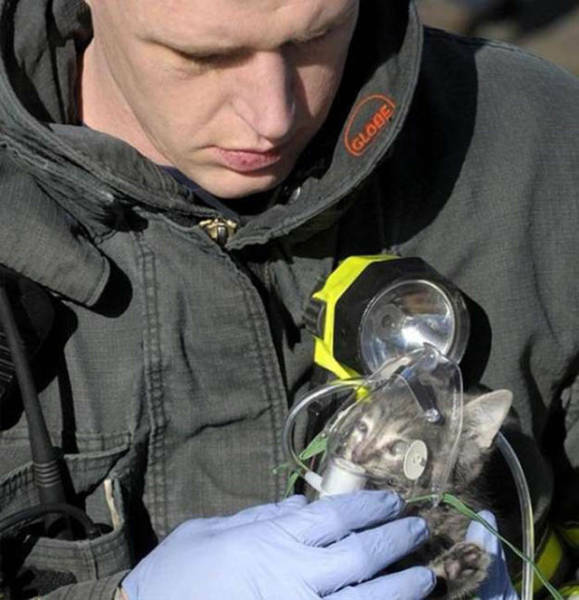 A firefighter administers oxygen to a cat rescued from a house fire. 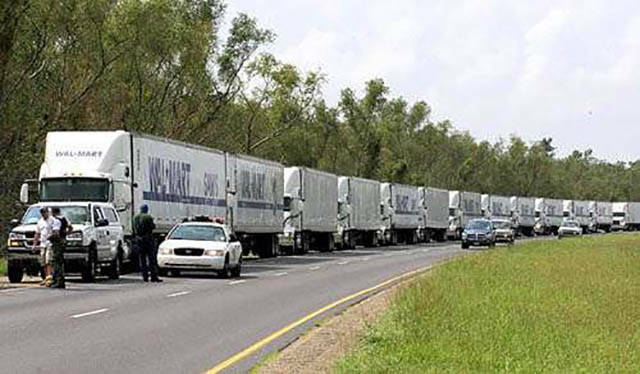 A convoy of Walmart trucks waits to enter New Orleans with food and supplies after Hurricane Katrina. 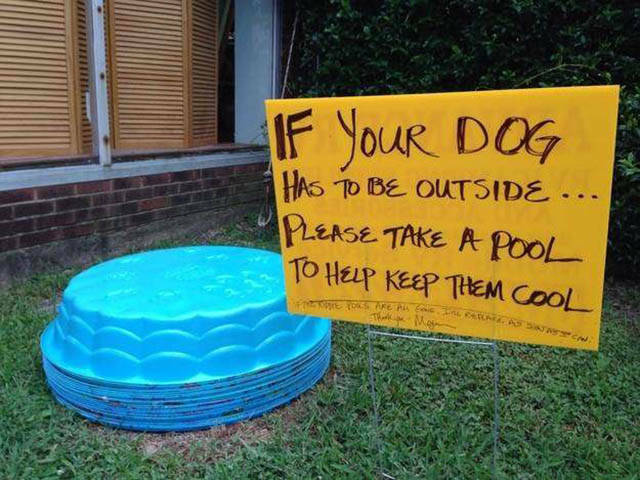 A thoughtful neighbor helps out local pups during a heatwave. 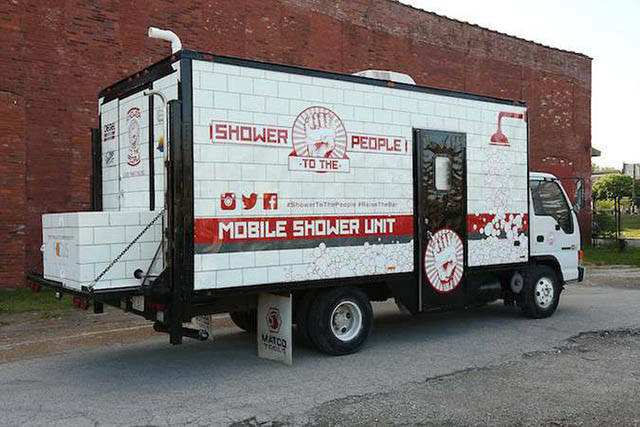 A Good Samaritan turned this truck into a mobile shower for the homeless. 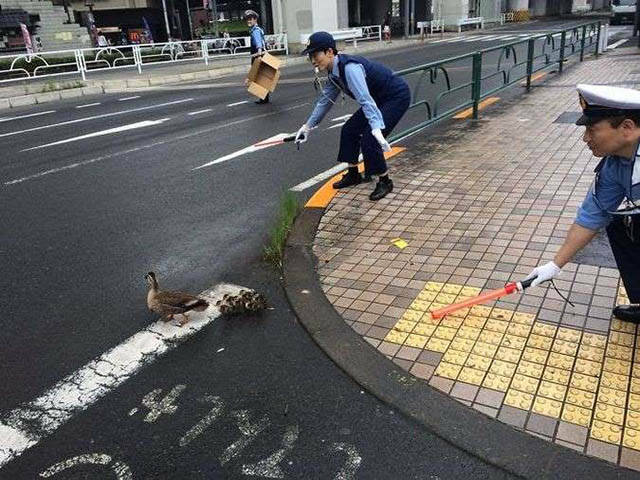 Japanese officers help ducks safely cross the road. 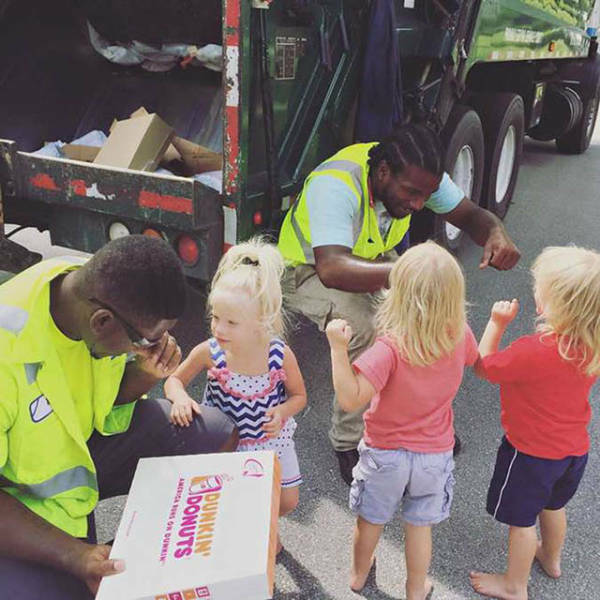 Two-year-old triplets Holden, Heaton and Wilder Reich give donuts and fist bumps to their friends Mr. 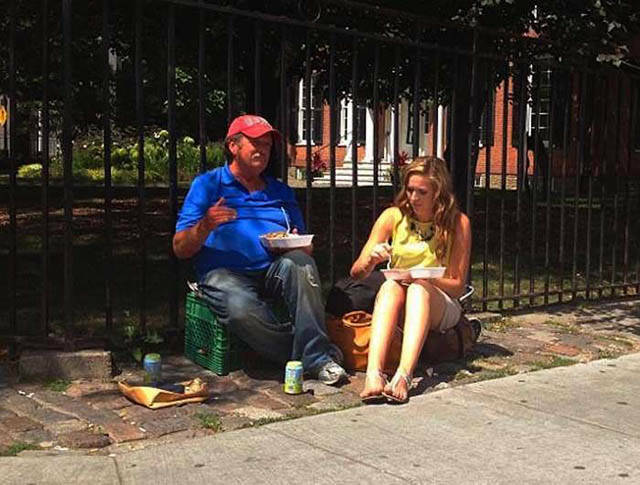 Rob and Mr. Chad, the garbage collectors they wait for every Tuesday and Friday. 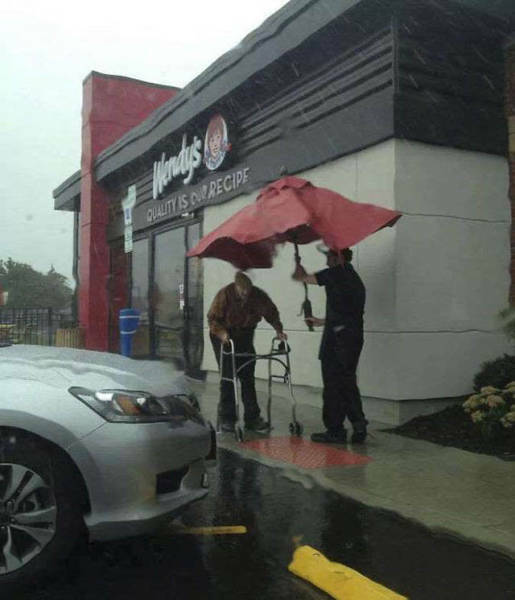 After removing an umbrella from an outside table, a Wendy's employee escorts an elderly man to his car. 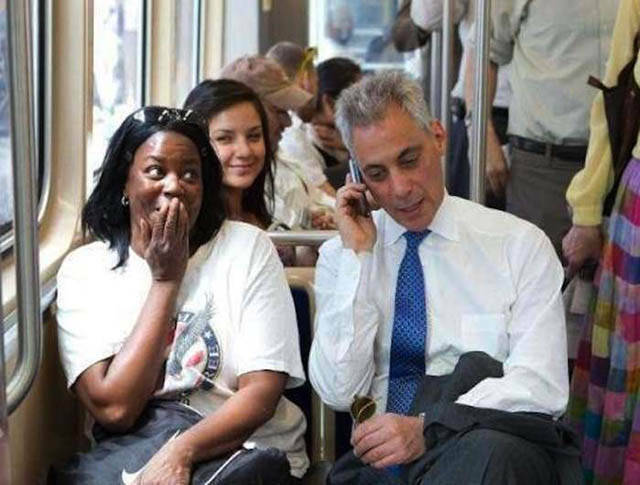 Chicago mayor Rahm Emmanuel interrupts a woman's job interview over the phone to give his personal recommendation. 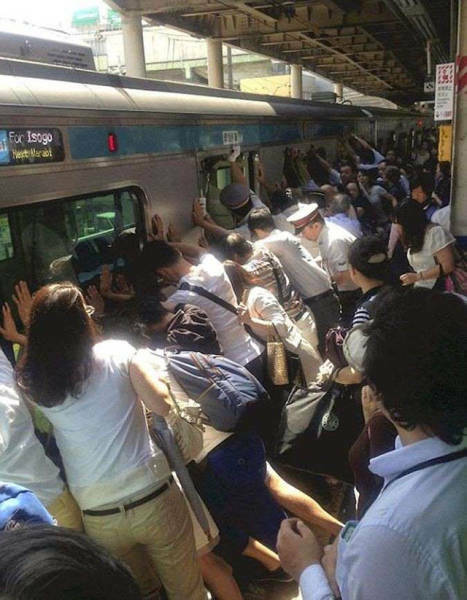 Commuters come to the aid of a stranger who got stuck between the platform and a train. 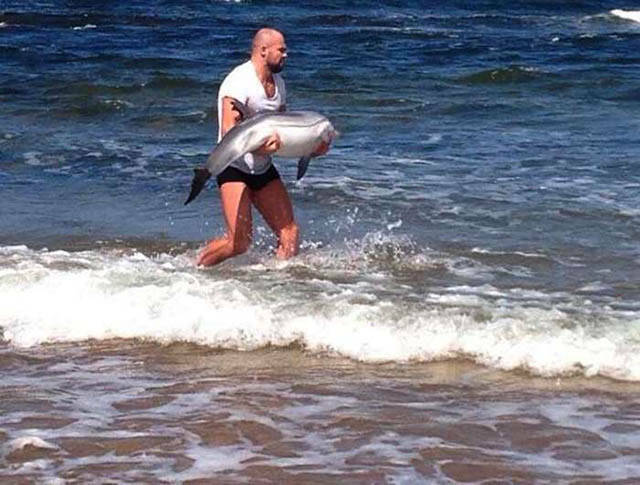 A man rescues a beached baby dolphin, carrying it back into the ocean. 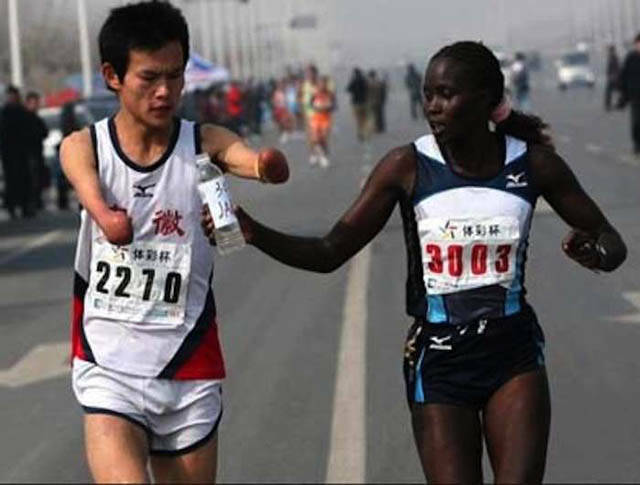 A world-class marathon runner slows down to help a disabled man open his bottle of water. 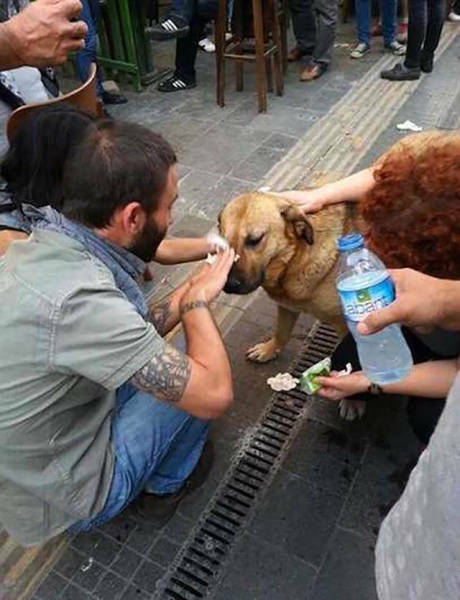 Pedestrians stop to help a dog tear-gassed during a demonstration. 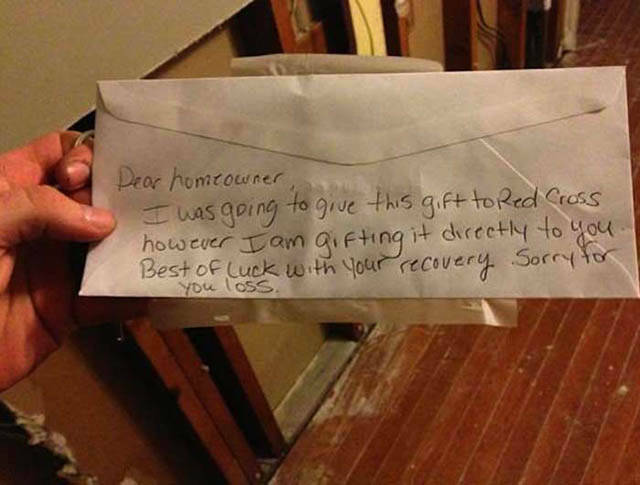 A donation to an expecting couple whose home was damaged by Hurricane Sandy. 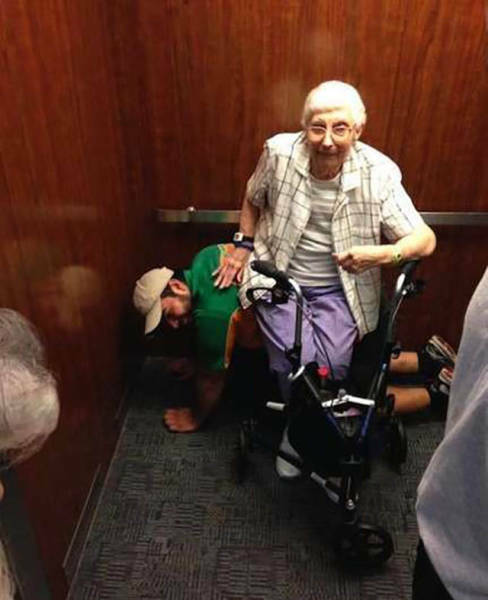 A college student gets on his hands and knees to serve as a human bench for an elderly woman. 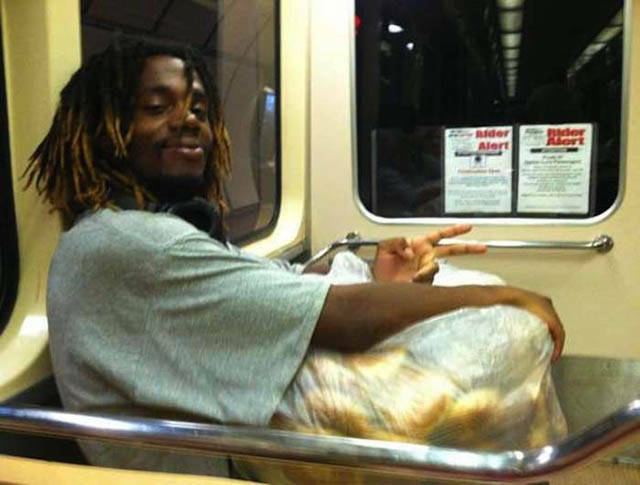 A young man on his way to distribute bagels to the homeless. 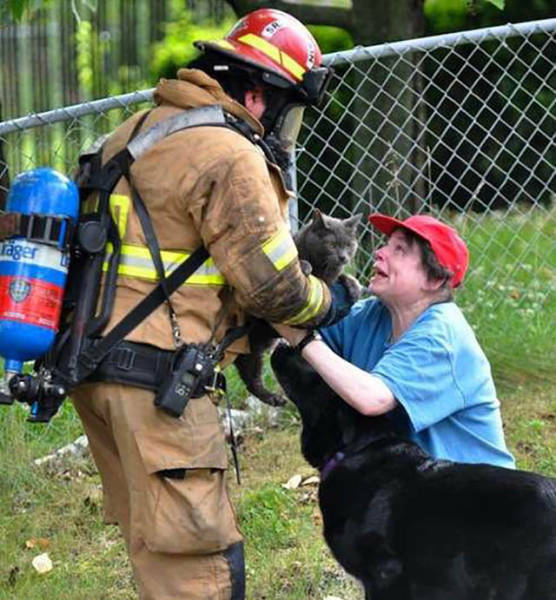 This fireman risked his life to save her cat. 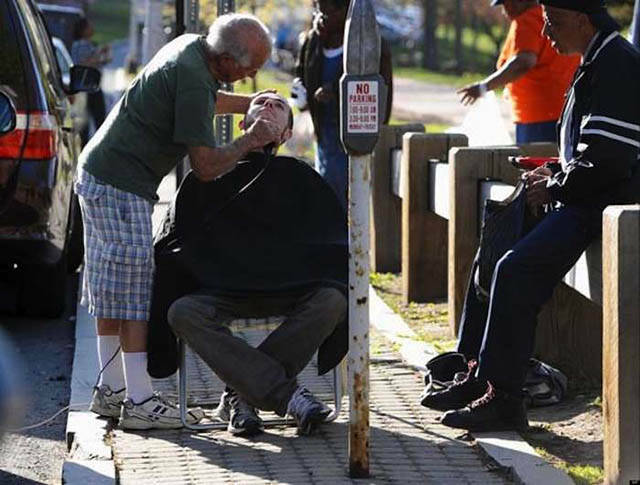 This 82-year-old man charges one hug for a haircut and a shave. 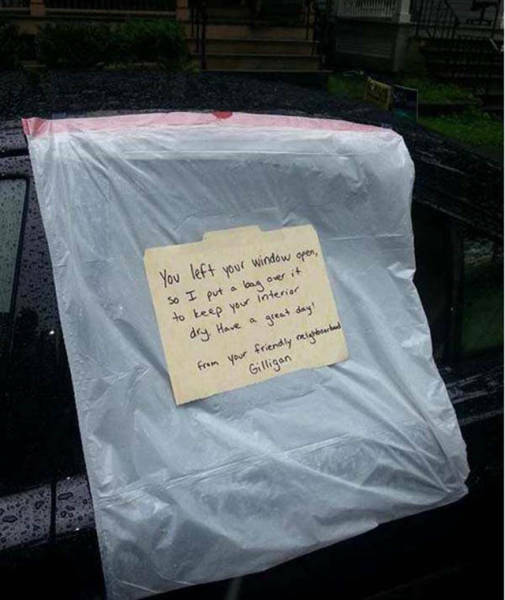 Gilligan prevented a stranger's car from getting soaked during a storm. A police officer handcuffs himself to a woman threatening to jump and saves her life. 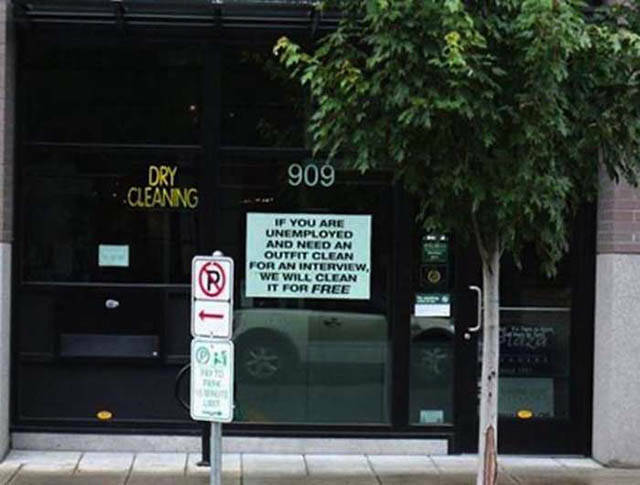 A dry cleaner offers assistance to the employed. 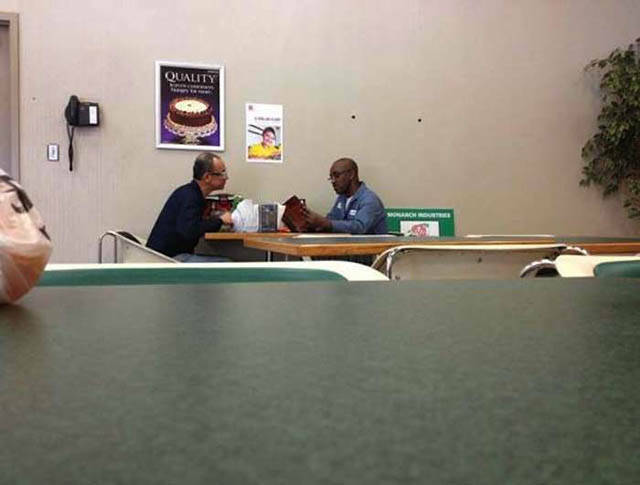 A man spends his lunch break reading to a coworker who's unable to read. 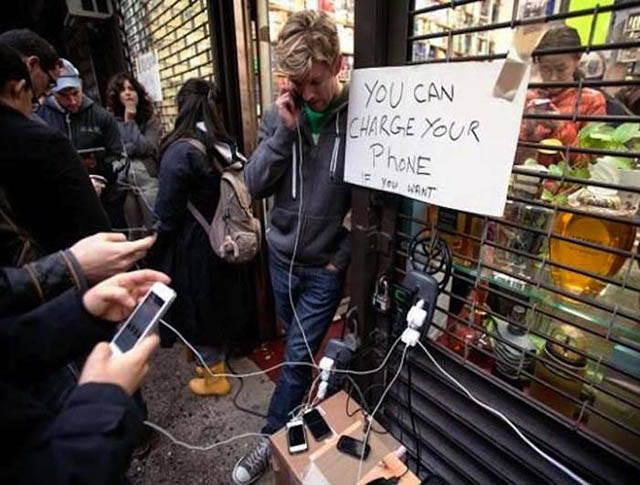 A store owner invites New Yorkers who lost power during Hurricane Sandy to change their phones. 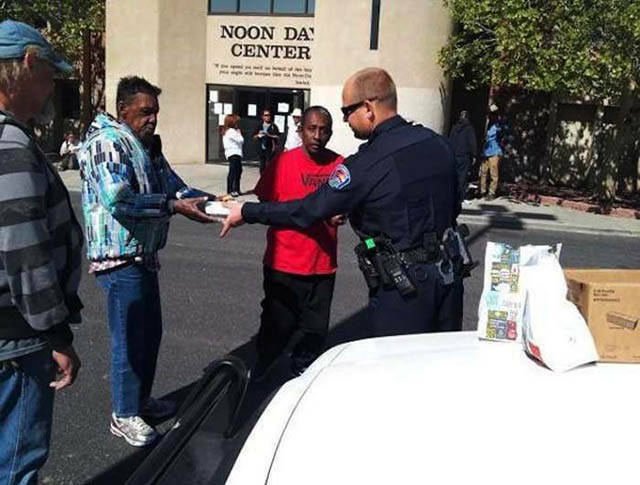 When this police officer learned the Day Center was closed, he bought food for 20 people who had come there to eat. 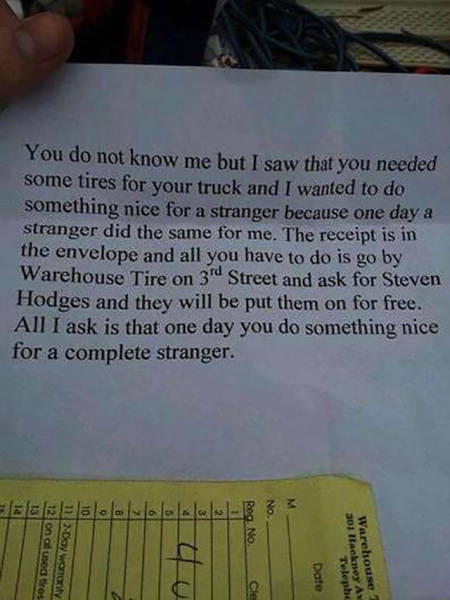 A note from a Samaritan who bought new tires for a driver in need. 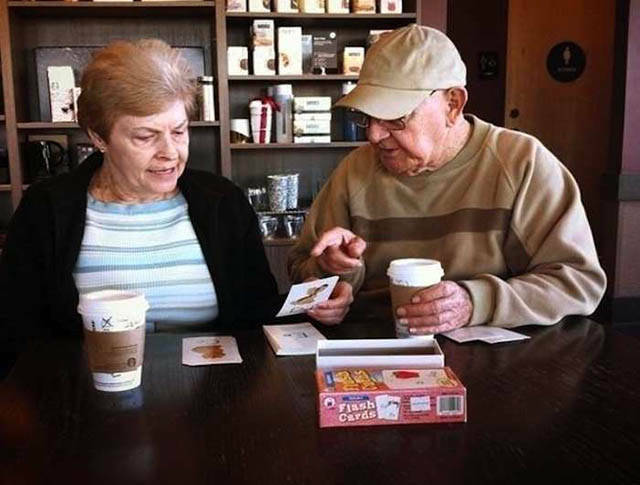 A man teaches his wife to read again as she recovers from a stroke. 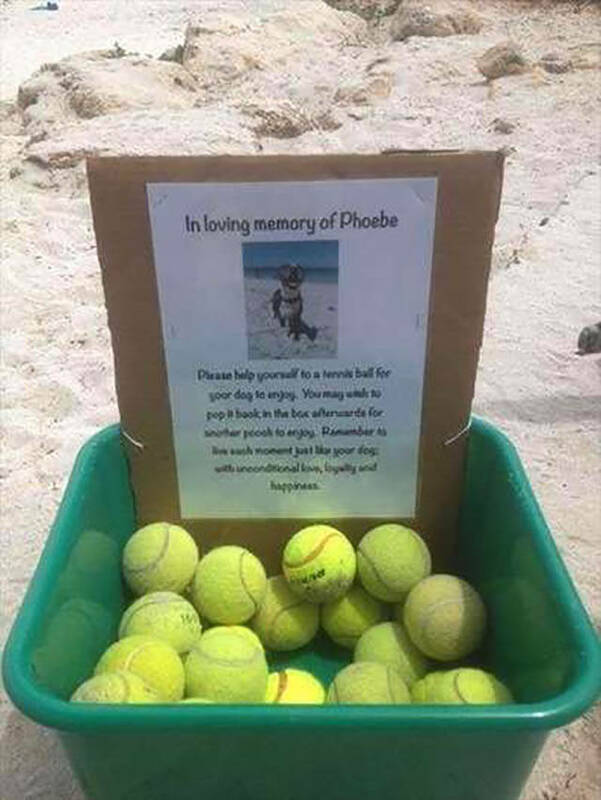 A man made this offering in memory of his dog Phoebe. 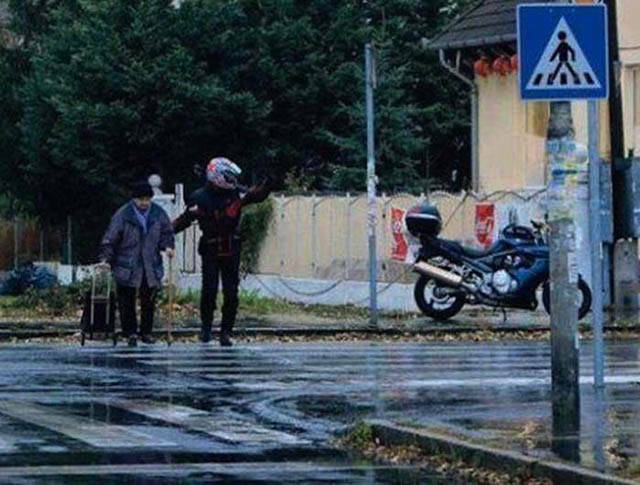 A motorcyclist pulls over to help an elderly lady cross the street on a rainy day. In Egypt, a young woman gives a reading lesson to a child street vendor. 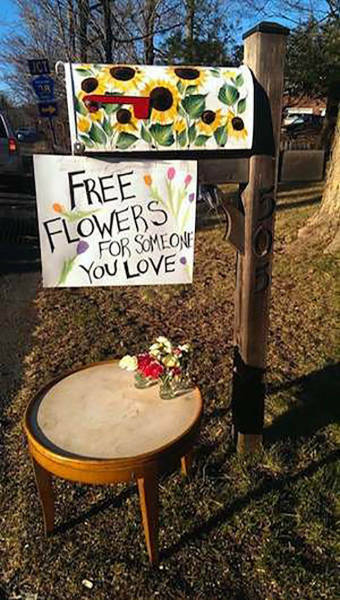 An anonymous donor set out free flowers to spread the love on Valentine's Day. 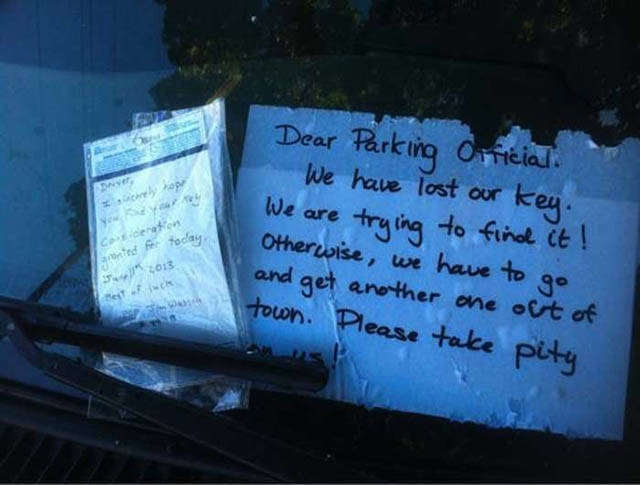 A parking officer takes pity. 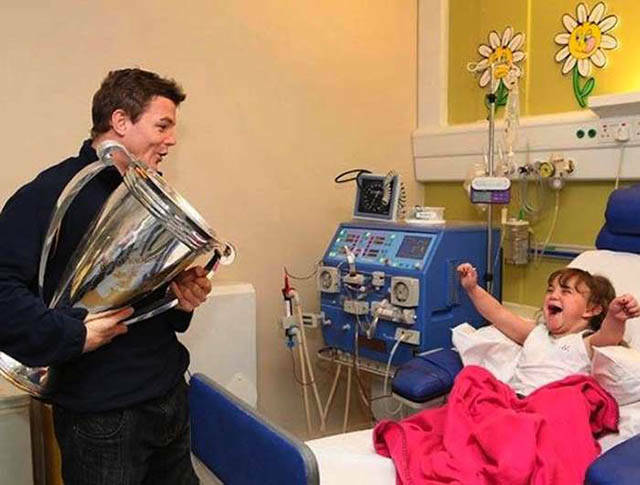 Rugby star Brian O'Driscoll visits his smallest (and biggest) fan in the hospital. 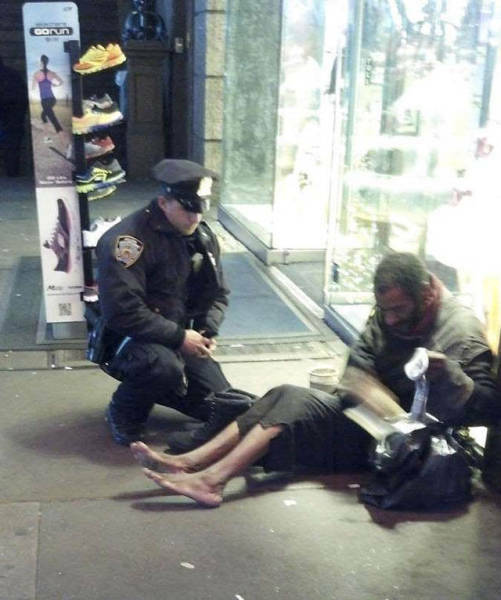 A police officer gaves shoes to a homeless man. 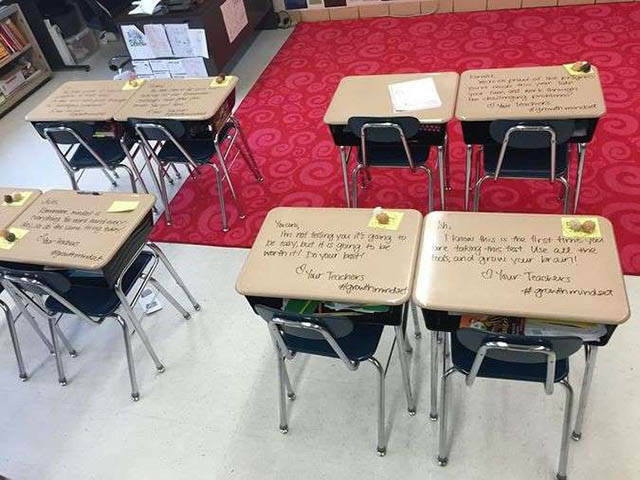 Inspiring messages that a teacher wrote on her students' desktops to give them confidence before a big exams. 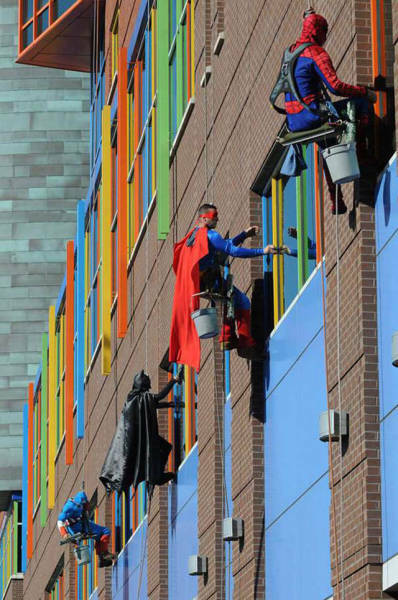 Workers from a window cleaning company dress up as a superheroes to cheer up young patients at a children's hospital. 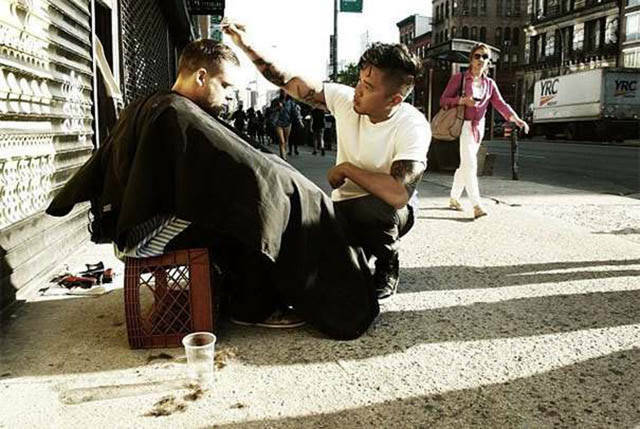 A hair stylist gives a free haircut to a homeless man in New York City. 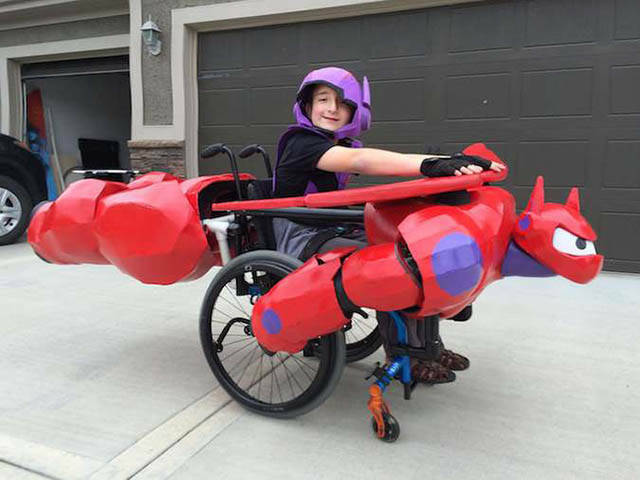 A custom design by Walkin' & Rollin', a nonprofit that creates wheelchair costumes for special-needs kids. 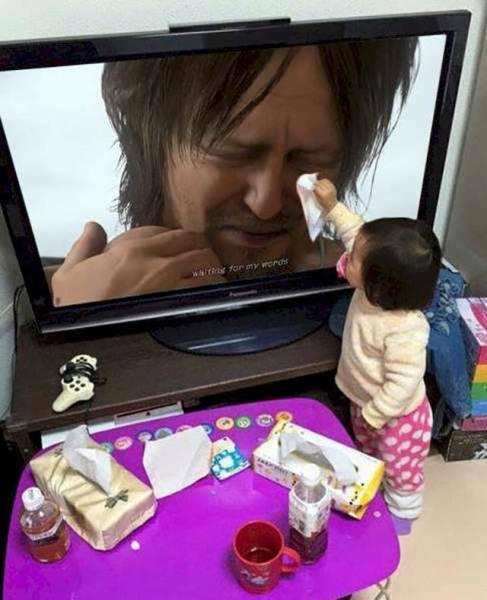 A Japanese girl tries to wipe away the tears of a politician on a TV news report. 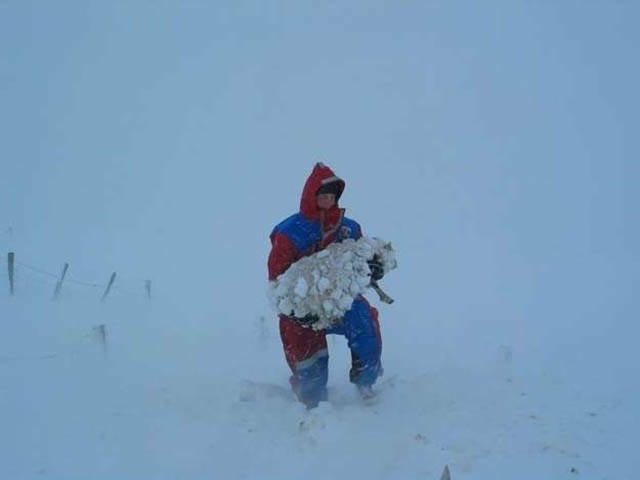 An Icelandic man saves a sheep trapped in the snow during a winter storm. 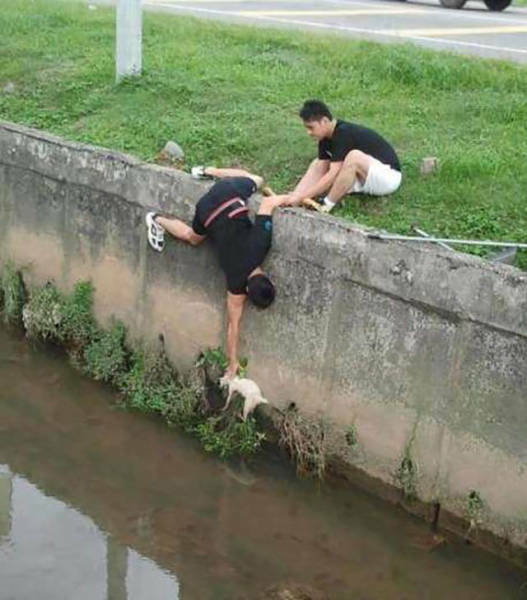 Two boys work together to rescue a cat.